Photo: Tim Samoff. Creative Commons BY-ND (cropped). 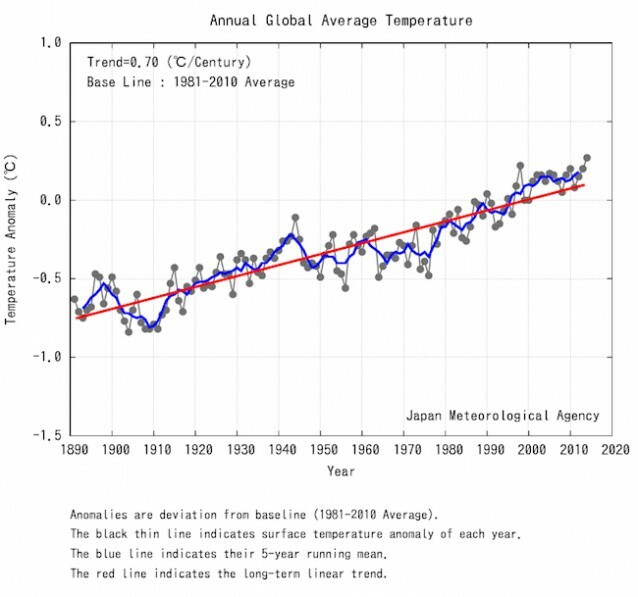 The Japan Meteorological Agency (JMA) has announced that 2014 was the hottest year in more than 120 years of record-keeping — by far. The US National Oceanic and Atmospheric Administration (NOAA) is expected to make a similar call in a couple of weeks and so is NASA. What makes setting the record for hottest year in 2014 doubly impressive is that it occurred despite the fact we’re still waiting for the start of El Niño. But this is what happens when a species keeps spewing record amounts of heat-trapping carbon pollution into the air, driving CO2 to levels in the air not seen for millions of years, when the planet was far hotter and sea levels tens of feet higher. The JMA is a World Meteorological Organization (WMO) Regional Climate Center of excellence. 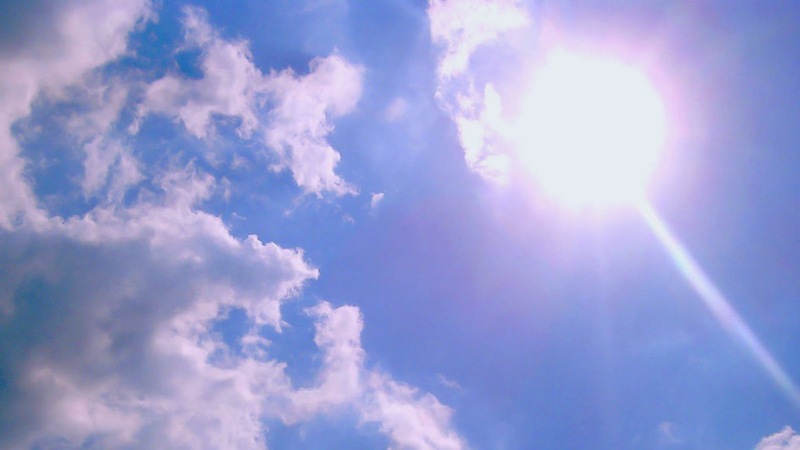 The WMO had announced a month ago that 2014 was on track to be hottest year on record. 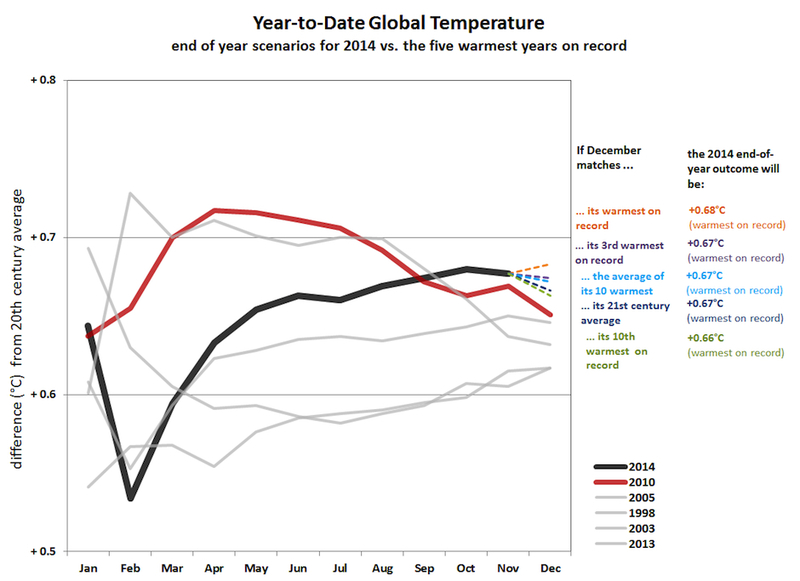 Different climate-tracking groups around the world use different data sets, so they can show different results for 2014 depending on how warm December turns out to be. Joe Romm is a Fellow at American Progress and is the Founding Editor of Climate Progress, which New York Times columnist Tom Friedman called “the indispensable blog” and Time magazine named one of the 25 “Best Blogs of 2010”. In 2009, Rolling Stone put Romm #88 on its list of 100 “people who are reinventing America”. Time named him a “Hero of the Environment” and “The Web’s most influential climate-change blogger”. Romm was acting assistant secretary of energy for energy efficiency and renewable energy in 1997, where he oversaw US$1 billion in R&D, demonstration, and deployment of low-carbon technology. He is a Senior Fellow at American Progress and holds a PhD in physics from MIT.